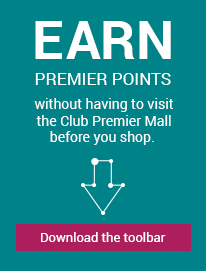 PMall Premier | Le Chateau, Inc. LE CHATEAU is a Canadian specialty retailer and manufacturer of contemporary fashion apparel, accessories and footwear at value pricing for style-conscious women and men of all ages. Our brand's strong financial success is a result of our time-tested business strategies that include the quick identification of and response to fashion trends through our design, product development and vertically integrated operations. Today the LE CHATEAU brand is sold exclusively through 179 retail locations across Canada. In most cases, orders are shipped within 1-2 business days from the day an order is placed excluding holidays. Ground orders arrive 3-10 business days from the shipped date. Gift cards may be delivered in a separate shipment from merchandise. Orders placed on www.lechateau.com will be shipped via UPS. The address entered must be a valid US address and cannot be changed once an order has been placed. Unfortunately we not deliver to APO/FPO, PO Boxes, the Virgin Islands, Alaska and Hawaii. Your online purchase will be taxed using the applicable sales tax or seller's use tax rate for your shipping address. We accept Visa, MasterCard, American Express, PayPal, Discover and LE CHATEAU gift cards. We will happily accept returns of merchandise (in its original condition, with all tags affixed) by mail for a full refund within 15 days of the purchase date. Shipping fees are non-refundable.